Unlike most industrially processed Mates on the market, Meta mate wants to offer the consumer an alternative of freshly most possible, traditional and industrially processed Mates for connoisseurs. 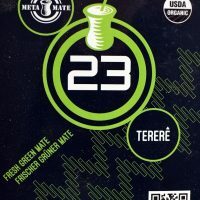 Meta Mate is fresh, hand-harvested Mate. It comes from wild growing, carefully selected forest trees. The mates are smoked by Brazilian farmers with yerba mate and traditionally wood dried.